Duplicate Car Key Grand Rapids MI -- Get one FAST! 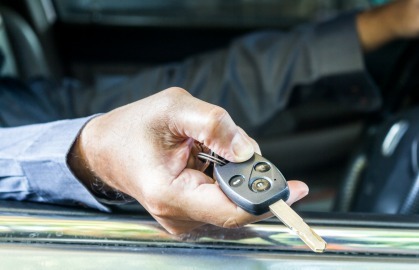 Make a duplicate car key Grand Rapids MI now, before it is lost, broken or stolen! Duplicate car key Grand Rapids MI -- Listen to that little voice in your head saying; "You really need to make a copy of this key, before it is lost!" LISTEN! You are being warned! Once your only key is lost the cost to replace it will be much higher than just getting a spare key now. 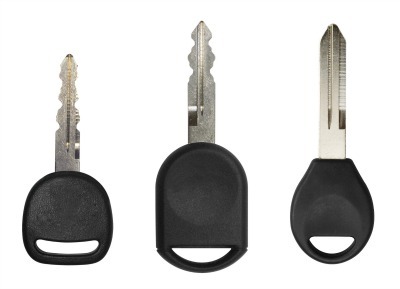 The process for making a duplicate car key depends on the type of car key you have. You will always want to check with us for an accurate quote and the best way to duplicate your car key. Here is a quick breakdown of the different types of keys and general idea of cost to duplicate each one. Mechanical Key -- Simple mechanical ignition keys only need to be duplicated onto a new key blank and off you go. Bring your key to us and we'll make a quick, inexpensive copy for you. 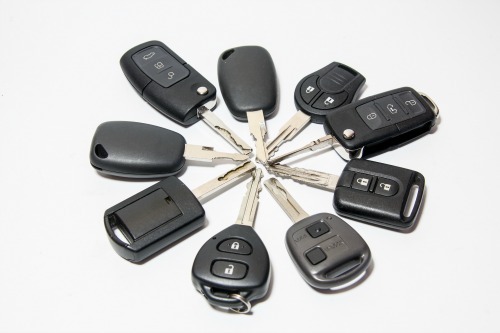 If it's lost we can use the VIN# and order the key code to cut an exact duplicate of the key that came with the vehicle. More expensive, but less than replacing the ignition. NOTE: If you replace the ignition, you will no longer have keys to lock the doors or trunk. Ugh! (Will need our automotive locksmith to make a key for a replaced ignition. If you want they can key the ignition and door to the same key. Transponder Key / Chip Key -- Transponder keys require a programming procedure to sync the new duplicate car key to the car's computer. Without this step, the car simply won't start. It might start for a few seconds but will then shut down, or it might not start at all. We have the newest programming equipment available and if you bring the car to us, we'll also program the new car key to the car. Transponder keys can become damaged or broken. Every once in a while check your car key for signs of wear. Even the slightest little crack can have a devastating result. All of a sudden, you'll be holding 2 pieces of key in your hand. If your key is bent or gets separated from the plastic head, it might also fail to work. If your key gets wet (is submerged for a period of time), it might also fail. If your key is in a questionable condition, stop by. We'll give it a look over and, if needed, replace it before you are left without a key. Flip Keys and Remote Head Keys: These keys consist of key and remote joined together. So easy and convenient to use. We can replace these car keys and duplicate as well. We try to keep a good variety in stock. If for some reason we are out, we can get it for you the next business day. The key and the remote parts of the key both need to be programmed to the car's computer. 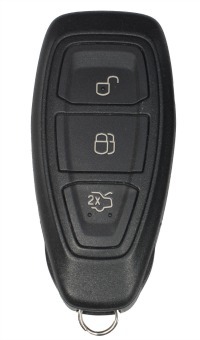 The newer GM Flip style, as well as Chrysler, Dodge, Ford, Honda and more have these newer remote head and flip keys. The problem is -- sometimes the remote quits working (even after you change the batteries) but the key blade is still good. May times we can repair these broken keys. We'll remake your key. Copy & cut or remake the key blade and salvage the parts from the working remote to create a duplicate car key with a remote head. Fobic Key: Also referred to as a FOB is the next generation of keys (also called SmartKeys) for vehicles. As long as the FOB is in the car (within a few feet) you can use a push button start to start the car. No old fashioned key blade. You can also lock and unlock the car door with the push of small button on the door handle (as long as the FOB is nearby). Some Fobics have a small hidden key blade that can be cut to open the car door. Since the ignition doesn't have a keyhole, it is the fobic remote that starts the car. As with the newest anything, these are more complicated and expensive to replace if lost. So try to order a spare at the same time.